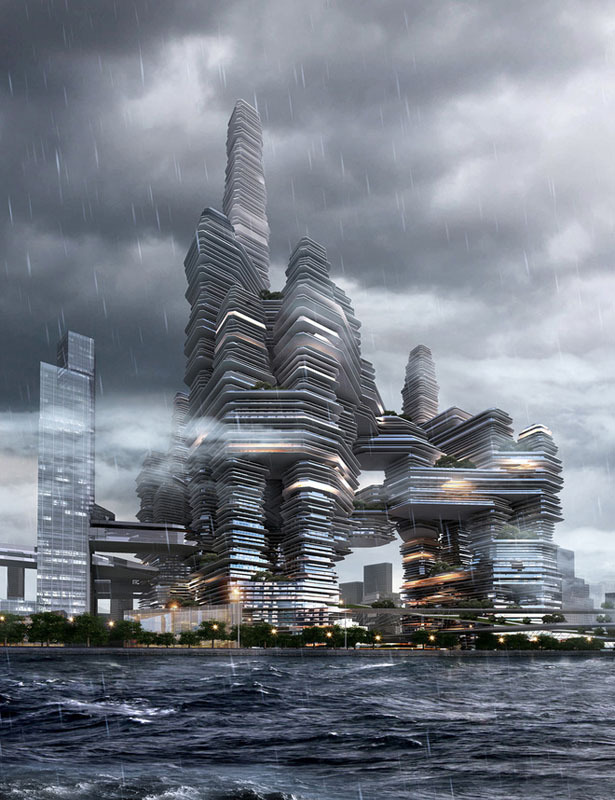 As part of Shenzhen Bay Super City Competition, Urban Future architect has teamed up with several experts to design Cloud Citizen. 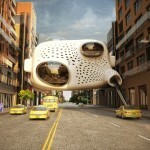 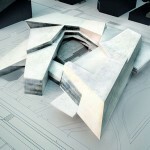 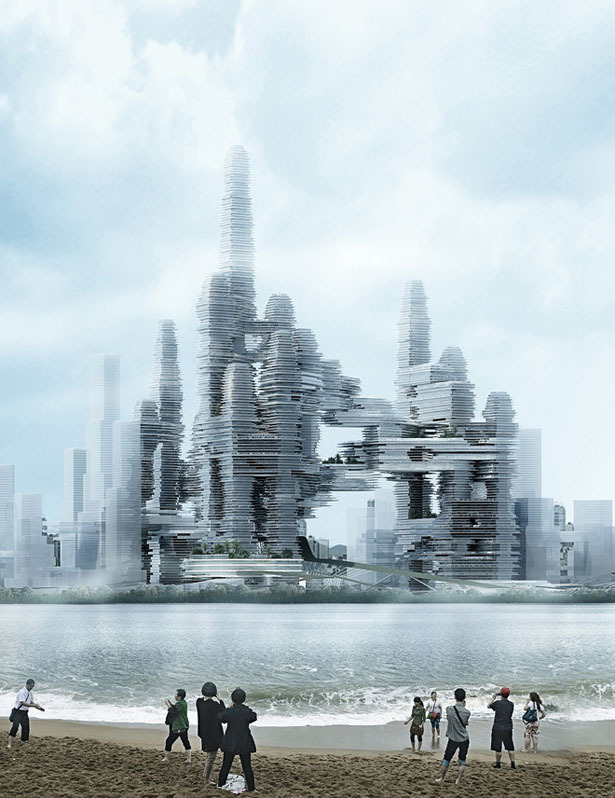 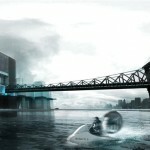 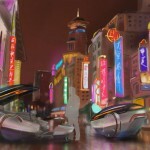 It’s a futuristic building complex proposal for green and hyper dense city in Shenzhen Bay area across from Hong Kong. 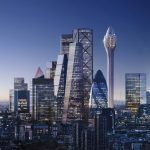 The goal here is to design and develop future cities that are able to give back to the environment more than they cost, the result is amazing, iconic skyscraper with unique character for greener earth. 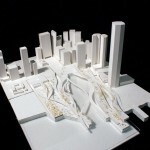 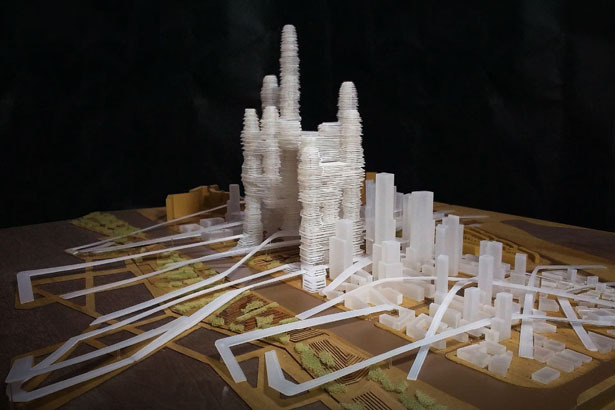 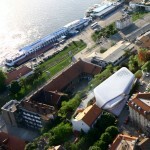 The brief of the competition was to design 3 high-rise structures on a 170 ha financial city district, including several cultural buildings and landscape that connect new district with its surrounding city. 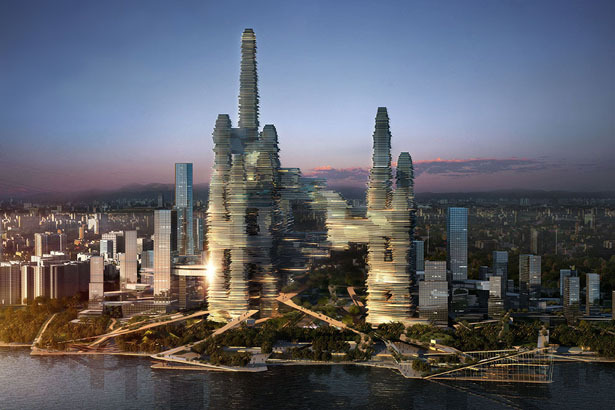 The new design should feature iconic structure to make Shenzhen the part of the league of cities such as La Defence Paris, ECB Frankfurt Area, Canary Wharf London, and the Presnensky District in Moscow. 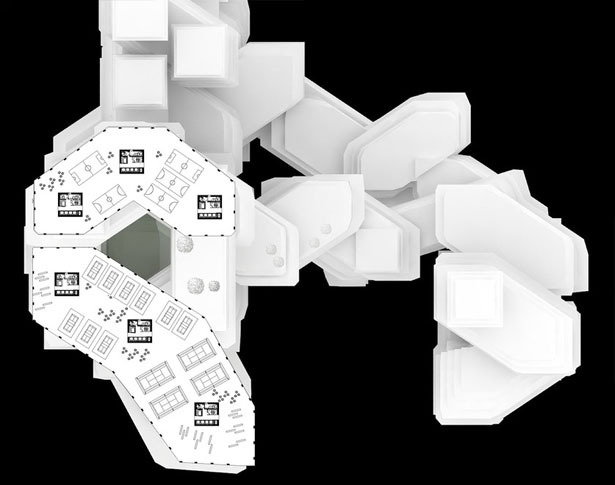 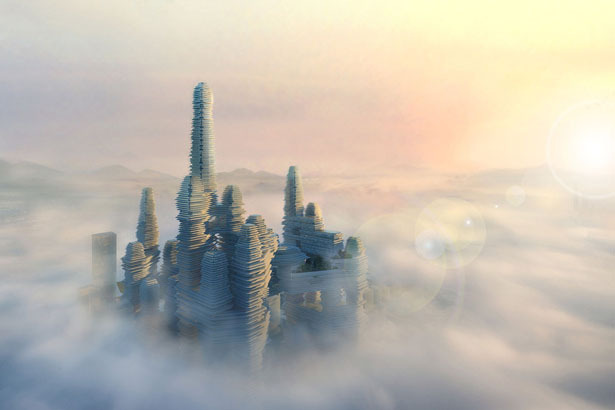 Cloud Citizen challenges the traditional way of building large cities and blurs the boundaries of personalization, communication, and densification of architecture. 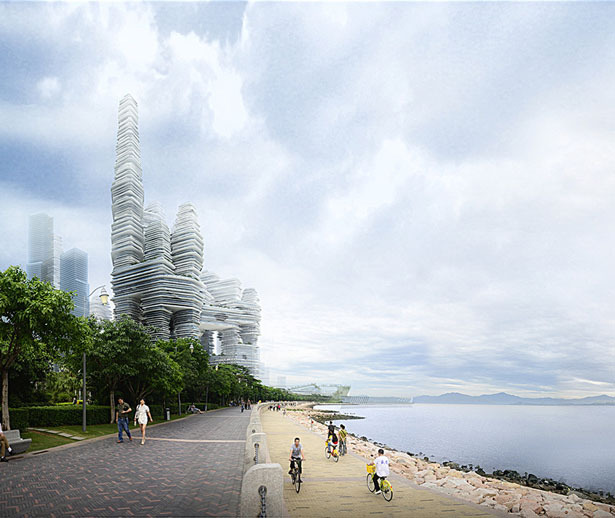 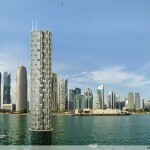 The design offers a spatially and programmatically diverse alternative to prevalent high rise monocultures. 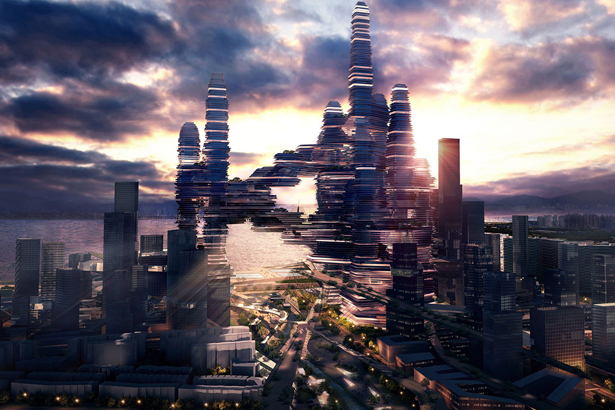 Instead of having only one connected mega structure, this architecture proposal offers a third dimension of city reaching 680 meters into the sky. 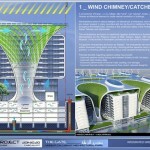 This futuristic skyscraper would become an integral part of urban ecosystem, it harvests rain water, it generates power from the sun, wind, and algaes, it keeps carbon and filter particles from the air, and of course, it provides sanctuaries for wild plants and food production. 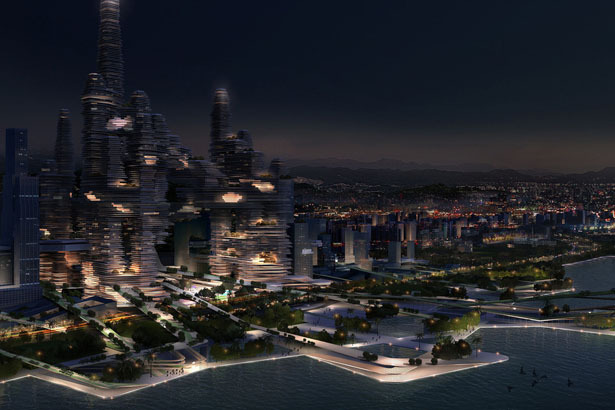 This cities offer healthier lifestyle for new Chinese generation. 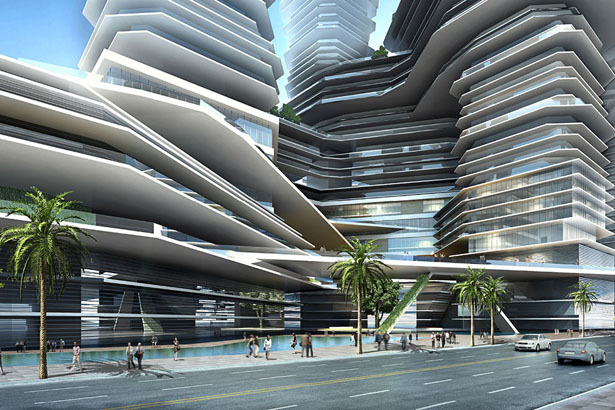 Tagged as future mega complex building, futuristic mega cities, futuristic skyscrapper design, modern green building.